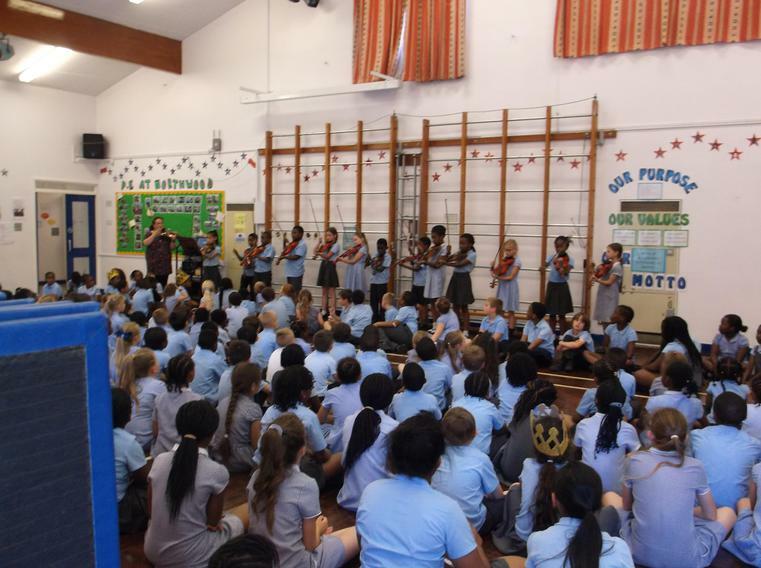 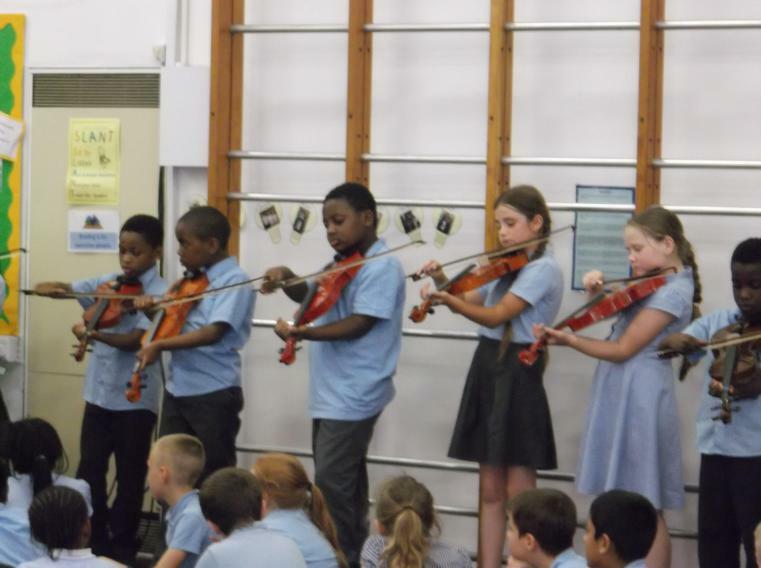 Please click the link below to find out the programmes of study for 'Music' in the new Primary Curriculum for Key Stage 1 and 2. 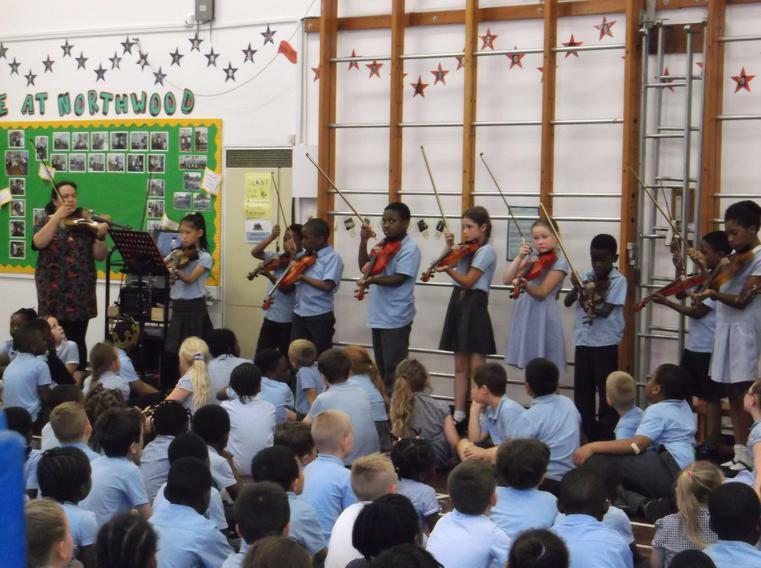 Throughout 2015-16 both Year 3 classes have had Music taught to them by our specialist Music teacher Sarah Chanchai. 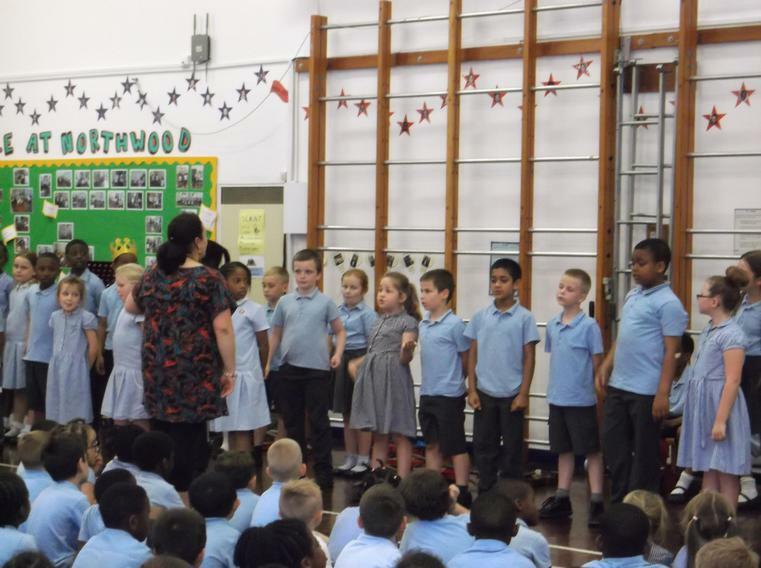 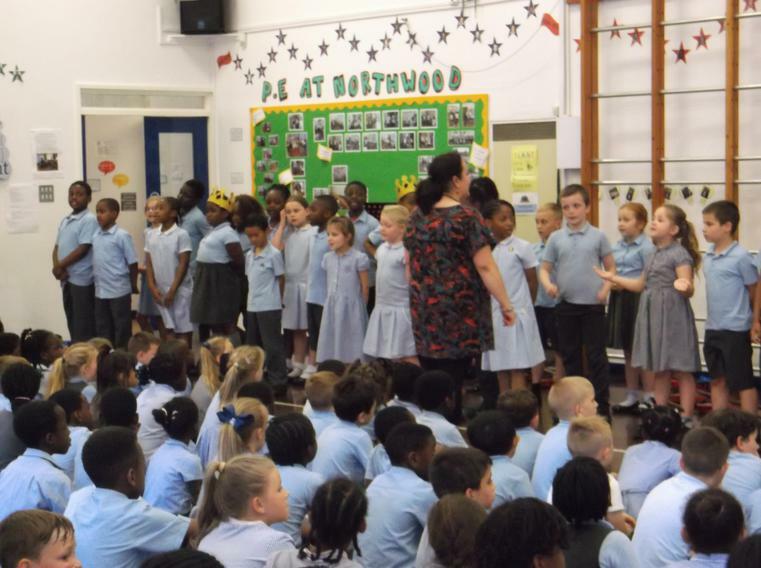 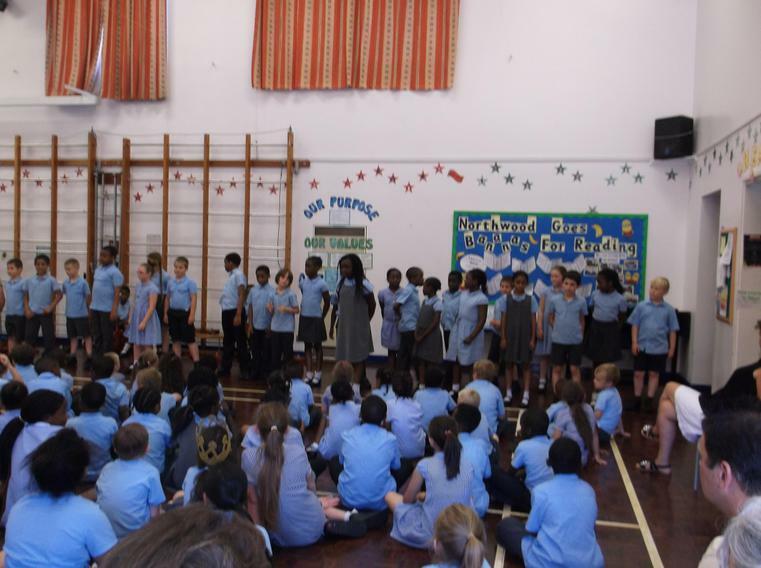 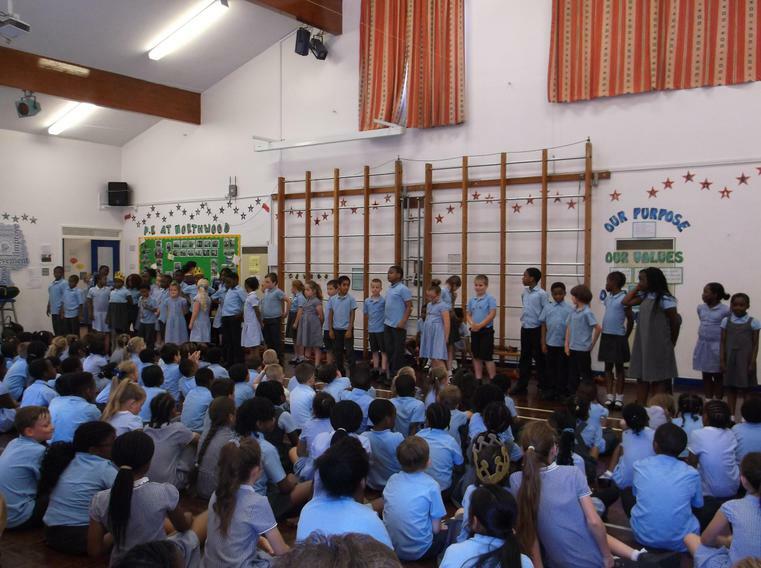 They have learnt to play a variety of percussion instruments aswell as how to sing together as a choir. 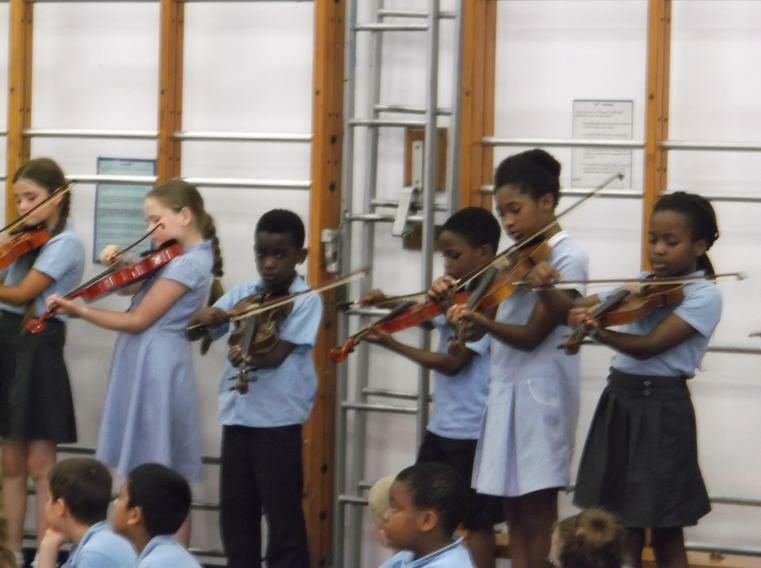 Every term they have then given a wonderful music performance to the whole school. 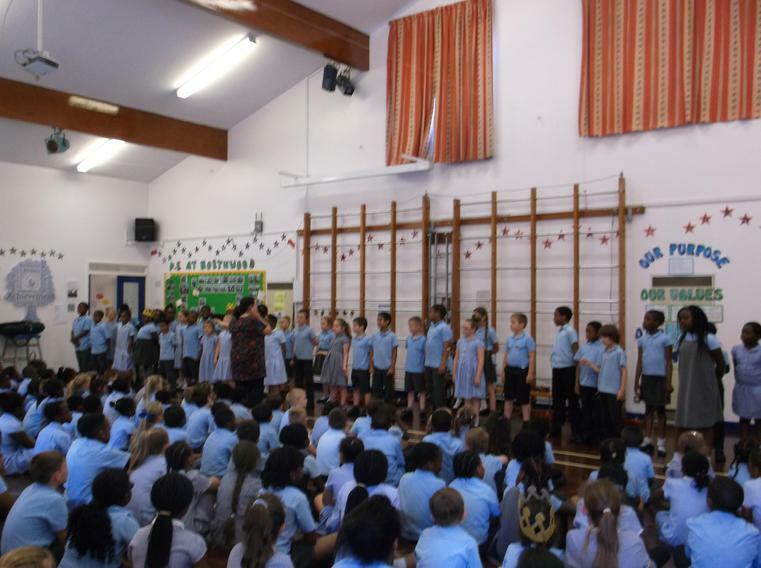 Please enjoy the photos of these special performances below.